Think you're making the most of social media? Do you have over 135,000 Twitter followers? Paul Corrigan does. So who's Paul Corrigan? Paul is a GigMasters comedian and the founder of LaughNYC, a New York-based entertainment company. He's been in the comedy circuit for five years and has already built up a loyal following (as evidenced by his 135k Twitter followers). We recently asked Paul about his social media success and his history in the comedy business. Like most starters, Paul's career began with countless open mics nights at comedy clubs. Paul calls these gigs “bringers” - as in you bring your friends and family to the free show or else it's an empty house. 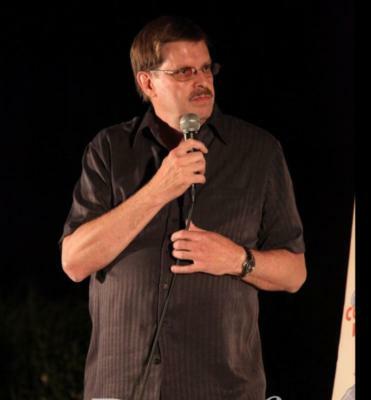 Paul sees open mics as the “boot camps of comedy” and a great way to practice your craft since typically you are on stage in front of a mix of friends, family and, most importantly, other comics. 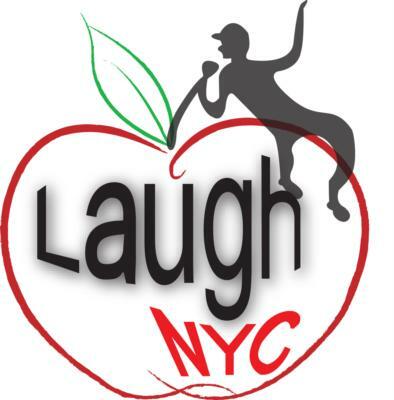 In 2008, Paul began the comedy entertainment company LaughNYC in attempt to get more stage time and more exciting gigs. 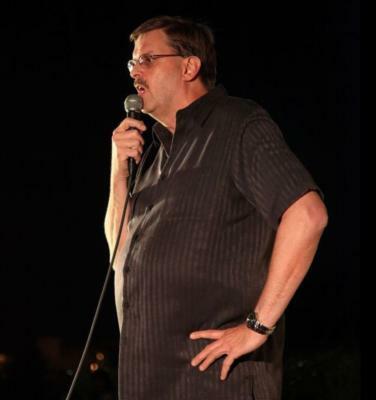 These days Paul's favorite stand-up gig, perhaps tellingly, is performing at wineries. “Who doesn’t like wine and comedy?” he asks. Good question. And for the future of his career, Paul hopes to be performing at more private and corporate events as well as producing comedy shows in the theater. As admitted social media junkies ourselves, we had to know more about Paul’s popularity on Twitter. Paul sees Twitter as a great tool for improving one's writing skills. “If you can tell a joke in 140 characters and get a good response, you’re doing well,” he told us. Regarding his large amount of followers, Paul humbly mentions that he has been mostly connecting with people throughout his stomping grounds of Long Island and New York City. Most of his followers are comedy lovers and locals who he targets to come to his shows. I hope all you social media-phobic entertainers out there are listening. It's no one coincidence that Paul's shows have become increasingly more popular as his Twitter count has skyrocketed. So get out there. Talk to as many people as you can, be yourself, and of course, tell some jokes. People will follow. Paul had advice for other entertainers on GigMasters: “Offer your customers the absolute best deal you can give, work hard to give them what they’re looking for, and after all that, offer them a little more for the money." 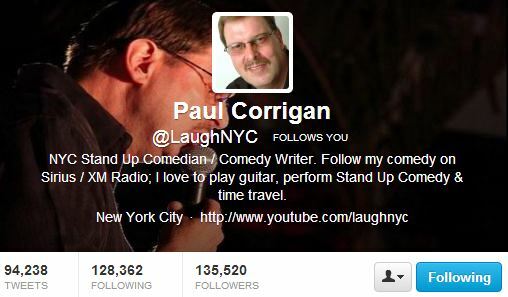 Check out Paul Corrigan on Twitter: @LaughNYC ! Paul Corrigan makes the most of social media sites such as Twitter to help get more people to his shows by targeting those in his area. Is this something you do as a performer, or plan to do in the future? Share your comments below.